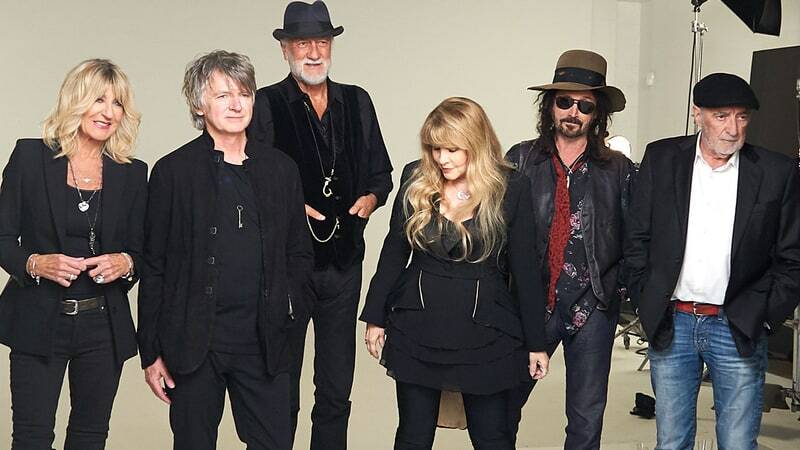 Mick Fleetwood is sharing his thoughts on Fleetwood Mac’s fall tour without Lindsey Buckingham in a new interview with Rolling Stone. “We are a week into rehearsals and it’s going really well and we’re looking forward, in true Fleetwood Mac style,” explains the drummer. “We’re very excited. Obviously this is a huge change with the advent of Lindsey Buckingham not being a part of Fleetwood Mac. We all wish him well and all the rest of it. In truthful language, we just weren’t happy. And I’ll leave it at that in terms of the dynamic. And he’s going out on the road more or less the same time I think - not in the same places, I hope (laughs). “If you know anything about the history of this band, it’s sort of peppered with this type of dramatic stuff,” Fleetwood continues. “It’s a strange band really. It’s ironic that we have a 50-year package coming out with all the old blues stuff with Peter Green, all the incarnations of Fleetwood Mac, which was not of course planned. But that’s what we’re feeling, especially myself and John, having been in Fleetwood Mac for 55 years. Buckingham and then-girlfriend and musical collaborator Nicks joined Fleetwood Mac in 1974 before their recording debut with the group for a self-titled 1975 album – of which an expanded reissue was released in January. Fleetwood Mac’s 2002 collection, “The Very Best Of Fleetwood Mac”, recently reached a new sales milestone in the US when it ticked over the 2 million copies mark in the country to earn double platinum status. The compilation – which spotlights the band’s history from 1975 forward – debuted and peaked at No. 12 upon its original release and sold its first million units in just two months, achieving platinum status in January of 2003.